Want to join the online auction, where people and businesses sell and buy multitude of goods and services? eBay Integration extension will help you out. This Store Manager for WooCommerce addon fulfills quick and flawless WooCommerce webstore integration with world-famous eBay marketplace. Dispose your merchandise on eBay and make them accessible to large client base making minimum efforts. 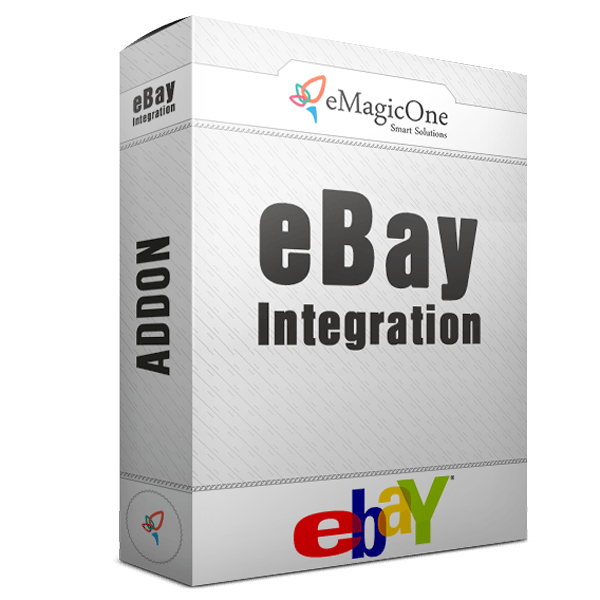 eBay Integration Addon brings multiple benefits to your business, since you economize time when designating export settings, ensure accuracy and consistency of product export. You will find new customers and expand your revenue streams by selling your products worldwide. NOTE: Addon requires Store Manager for WooCommerce to be installed.